The Architecture Group has a lively and active membership who enjoy studying all aspects of architecture – local, national and international – ancient and modern. What we look at reflects members’ interests, and meetings are usually led by a group member. Detailed knowledge of architecture is not necessary, just an interest in the built environment. The group normally meets at the Progressive Hall in North Bradley at 2.15 on the fourth Monday of each month (Except December), unless we are out on a visit. The Hall has ample parking and is served by regular bus services. Usually two or three times a year we go out for visits. As this is not a house-based group we do not place a limit on numbers and any U3A member is welcome to come along to our meetings. Our provisional programme for 2018 gives an idea of the kind of subjects we study. January: The life and work of British-born architect, Laurie Baker, who spent his career in India demonstrating with his work that low-cost, sustainable buildings could also be beautiful. February: Chippenham architect, Jack Konynenburg led a session on “What Buildings say to Us”. March: Green Buildings – the face of the future or eco-fantasy – a critical look at “green architecture”. April: A visit to Jack Konynenburg’s self-designed house in Chippenham. May: Buildings at Risk – short presentations by group members on buildings on the Victorian Society’s and 20th Century Society’s list of buildings at risk. June: Guest speaker, Julian Orbach will give a talk on the work he is doing to revise the Wiltshire edition of Nikolaus Pevsner’s “Buildings of England” series. 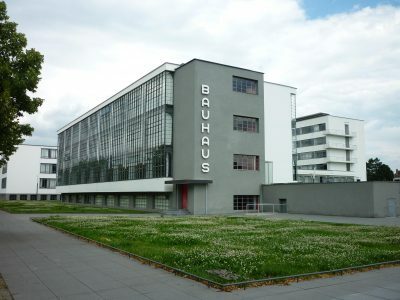 July: The Bauhaus: a review of the famous German design school which was so important in the emergence of modernist architecture. August: A visit to the old city centre of Bristol. September: The Stirling Prize: group members will give short presentations on the six short-listed entries for the UK’s premier architecture award, and we will see if we can correctly forecast the winner! October: Finland produced some outstanding modernist architects in the 20th Century. One of our members will show us some of their buildings he went to see last Summer. November: Short presentations by members on a subject yet to be decided – last year we looked at the work of Norman Foster. December: No meeting because of Christmas.